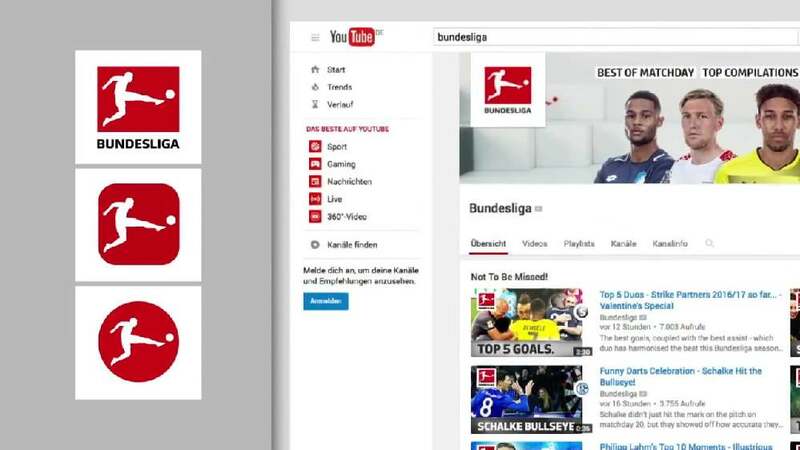 In connection with a brand relaunch for Bundesliga, DFL Deutsche Fußball Liga (German Football League) have updated their logo, the TV opener and the graphics to bring them into line with the digital era. The new brand design has been specially designed for optimised use across all digital channels, from social networks to TV screens. For this purpose, the Bundesliga player, seen in the current logo, has been reinterpreted, and now comes in a 2D design. The logo forms part of the completely revised brand design kit, which for the first time also includes a proprietary Bundesliga typography and a flexible logo colouring: the Bundesliga player icon either adapts to the colour of each club or keeps the corporate colour, Bundesliga red.